Sure, sniffing a cork and swirling a glass can look pretentious and sometimes you don’t want to pull out the decanter. But there are actually some things that are important when drinking red wine. 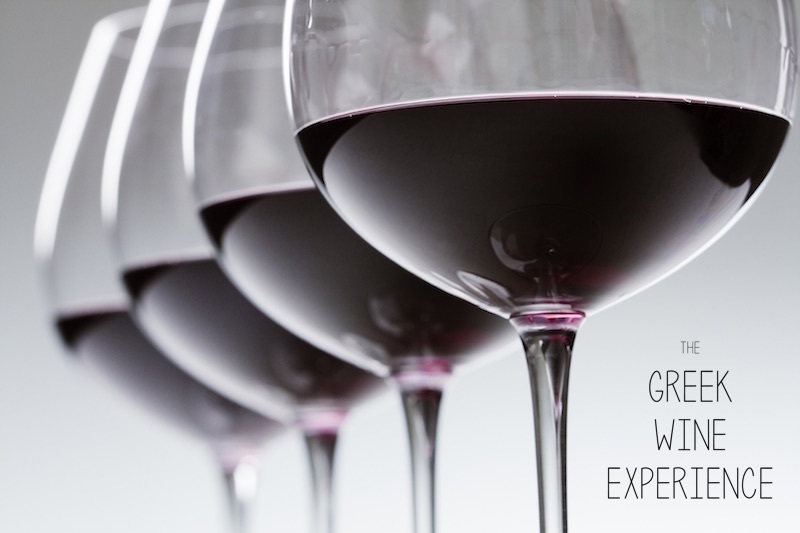 From storage to temperature, aeration to glass choice we at The Greek Wine Experience are learning how to drink red wine not so that we look good, but so that it tastes its best. And, as is our way, we’re here to share it with you. We’ll teach you how to store bottles, the truth about whether or not reds should be served at room temperature and more. Part of the enjoyment of red wine is knowing how to pick a wine you like. Do you like full bodied reds? These are higher alcohol content reds that coat your mouth. Look for a Xinomavro, Cabernet, Merlot, Syrah, or Malbec. Prefer a light bodied red? These feel lighter in the mouth and are lighter in pigment, letting more light in. Agiorgitiko or Limnio is a favorite of those who like lighter reds? If you like full and light bodied reds consider basing your choice on the temperature. Full bodied wines complement the types of food eaten in winter and are thicker and heavier. They are also served a little warmer. Light bodied reds are a great way to enjoy wine in the spring and summer and are served on the chillier side. If you like a more tart or acidic wine, look for one grown in a cool climate or microclimate. Like less acid and more sweet, ripe fruit? Look for wines from a warm climate or microclimate! If you’ve had a wine you love but can’t find it or can only find it outside of your budget, you can use a vintage chart to help you find the best wine for your tastes. Once you have a bottle at home it’s important to store it properly. You don’t need a wine cellar or a fancy wine fridge if you follow some basic guidelines, although a wine fridge is never a bad idea and there are affordable ones on the market that can fit into any living situation – even the kitchen in a small studio apartment. Chill Out! The ideal temperature for red wine is 12.5C. Anything between 12-13.5C is good so most people can store in a dark pantry. Your kitchen fridge is okay for a couple of months but the super cold temperatures meant to keep food from spoiling can result in a dried cork, which can lead to spoiled wine. Lay Down, Sally. Bottles with corks that are going to be kept for a while are best stored lying flat. Going Steady. Whether or not you invest in a wine fridge the key is to keep wine at a consistent temperature rather than allowing for swings from warm to cold and back. Big changes in temperature can cause the cork to seep or even push out – often ruining the wine inside. Screw cap wines don’t have to be stored flat – there’s no cork to worry about! When serving wine, how you open it is a big part of the experience. Using a wine opener that works for you is most important. While there are fancy openers used for service, let’s face it: a waiter’s friend is not the easiest thing in the world. We use rabbit style openers. You want a wine opener that is easy to use and won’t push in a cork, break the bottle, or make you avoid opening because it’s clumsy or difficult to use. You can use a traditional decanter, which is a glass container, or save time and buy an aerating pourer. Decanting works best when you have anywhere from 30 minutes to two hours so if you’re pressed for time, or don’t want to wait, just pop an aerating pourer onto the bottle and enjoy immediately! Sometimes there’s no time, or patience, for decanting. In that case, an aerating pourer is the best bet. These devices pop onto a bottle to pour wine controlled rate while air intake holes create a vacuum so that the wine “glugs” at a rapid pace. The movement and air essentially decant while pouring. Serve white wine chilled and red at room temperature. We’ve all heard that a million times – probably since we were kids. And it’s something we all accept and do – reds are always pulled from a cabinet, shelf or pantry, popped open a poured. Until we know more. Until we know how to store wine, how to open and aerate wine for our enjoyment. And unless you like your rooms chillier than the average bear, room temperature is probably a little too warm for serving reds. If you are decanting you’ll want to start from a colder temperature since wine can warm considerably over the 30 minutes to two hours you’ll allow it to rest in the decanter. So, What’s The Perfect Temperature For Red Wine? There’s not just one answer to this – depending on region and personal taste but experts all seem to have around 18-19C in common in their serving temperature ranges. Some experts say 14-16 degrees while others prefer 15-18. Even we, though, have exceptions to the rules. If storing in a pantry, place the wine in your regular fridge for 1-2 hours. If storing red wine in a single zone wine fridge, remove for 30-60 minutes. If storing in a kitchen fridge or wine rack in the house, pop in the fridge for 1-2 hours prior to drinking. Pro Tip: The likely reason for the range in temperatures is that there are times when you’ll want to serve reds at a lower, or higher, temp. General rule of thumb: the lighter the body, the colder the wine. So you’ll better enjoy Agiorgitiko or Limnio a little cooler than you would a Xinomavro or Mavrotragano.